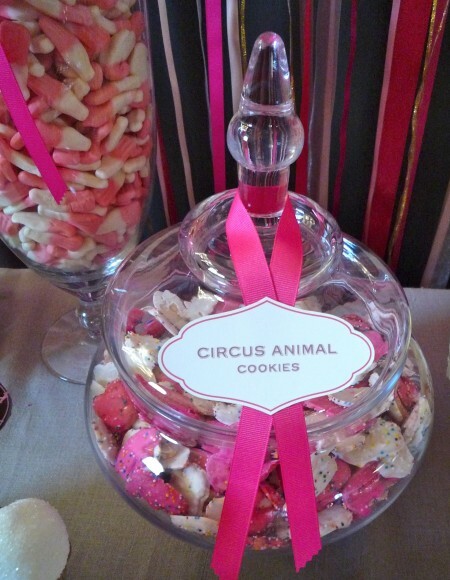 Dessert Darling Wedding Dessert Table, Part 6: Circus Cookies and Pink Gummie Bottles | Dessert Darling are not only a childhood favorite, but also they were aesthetically perfect with their pink and white colors and joyful rainbow dots. I ate most of that , thank you!! !